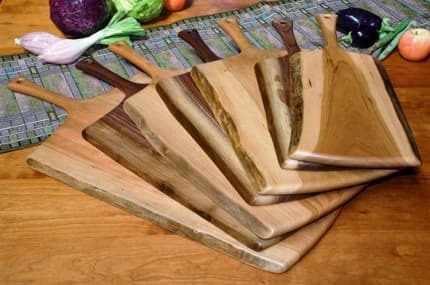 Shaped, sanded, and finished by hand to a sensual silkiness, each graceful cutting board is an art object that adds utilitarian pleasure to your daily life. 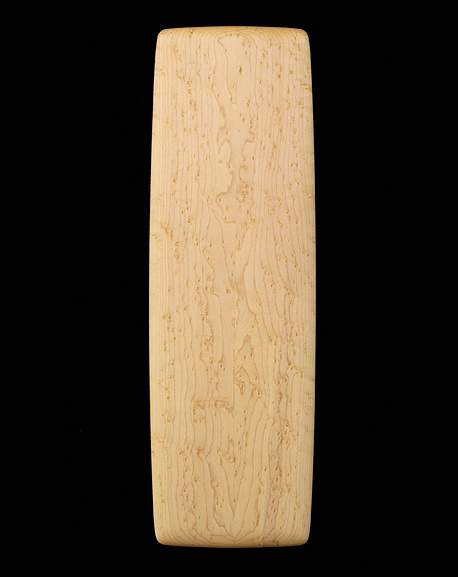 Ed Wohl’s solid Birds-eye Maple boards are precision-crafted by joining sections from one piece of exquisitely figured wood. 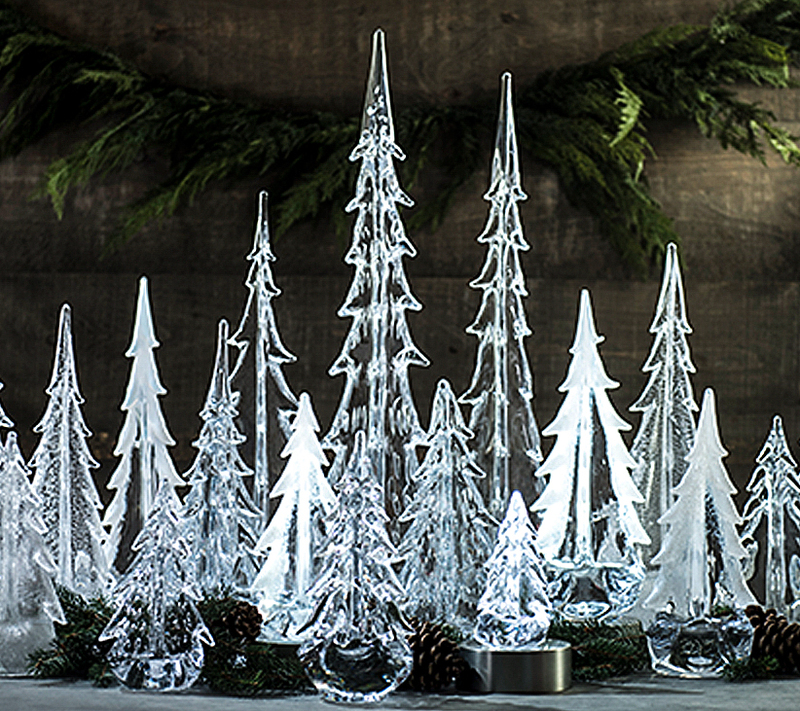 The many shapes and sizes make it certain that you will find one perfect for carving or serving meat, bread, cheese, fruit, dessert, and more. Beautiful on display, these boards will last with minimal care. 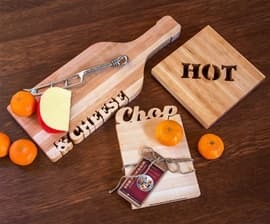 Ed’s cutting and serving boards are an elegant and useful wedding gift and an appreciated treat for the chef in your life. 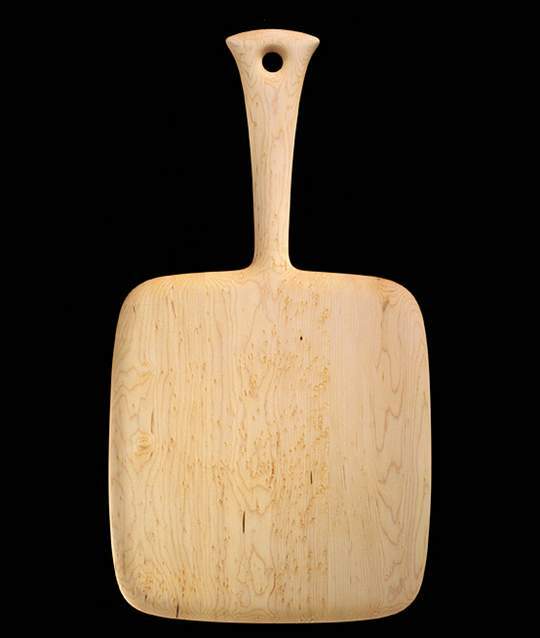 Hand made Birds-eye Maple rectangular cutting board with oiled finish.